Most people, aside from locksmiths, probably don’t spend much time thinking about keys—until they lose one, need a copy of one, or have to give one to a houseguest. And then, it doesn’t take long to realize that keys are kind of a nuisance. But given the initial success of the Akerun smart lock in Japan, traditional keys could soon become a thing of the past. Meaning “it opens” in Japanese, the Akerun is the aftermarket IoT brainchild of Photosynth Inc. 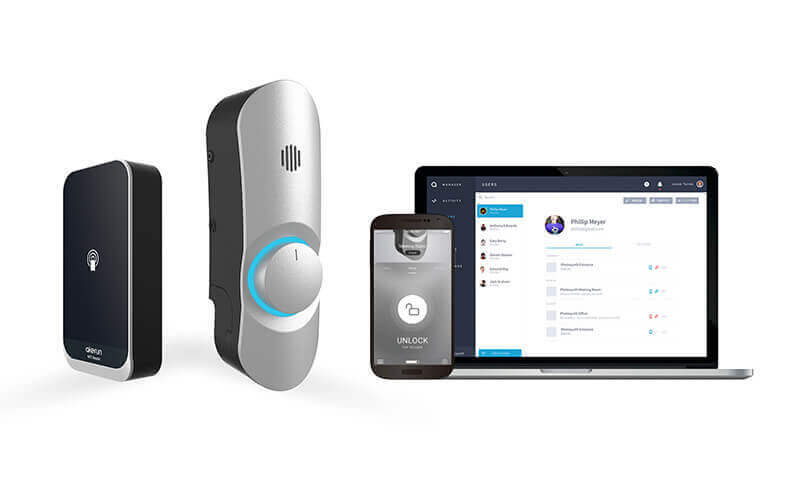 In the span of just six months, the Japanese startup formulated the idea for a smart door lock, controllable by PC or smartphone, and started shipping its first mass-produced units. Intended for individual homeowners, the Akerun went on sale in April 2015—and quickly caught the attention of the media (thanks to its quick time to market) and the business community. The basic components of the Akerun Pro system are the main unit (center) and NFC reader (left). Courtesy Photosynth Inc. Installing the device requires no major construction, such as replacing doors or putting holes in walls; the Akerun fits over the door’s inside thumb-turn lock (which engages the deadbolt) and is held in place with a special adhesive. This ease of installation/removal is not only valued by homeowners but also an attractive feature for small businesses in Japan, which are reticent to invest in expensive access-management systems. An unexpected number of offices clamored for the device, so in July of the following year, Photosynth released the Akerun Pro. 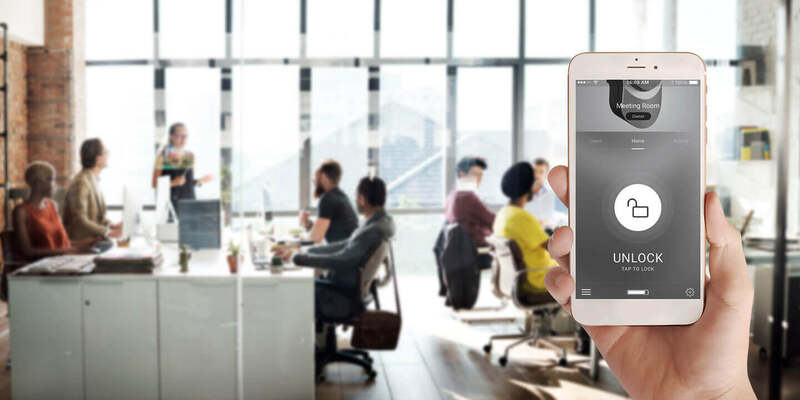 Built with businesses in mind and developed as an affordable building-access-management system, it features basic functional improvements and compatibility with NFC-embedded cards. The Akerun Pro soon became Photosynth’s leading product. Tatsuhiko Sekiya, who designed the Akerun, has a background in smartphone design and strives to craft products with the ethos “make it small, and ship it quickly.” For mass-production products like the Akerun, he tries to minimize the number of parts, simplify the structure of the mold, and make it simpler to assemble. These efforts sometimes conflict with each other, so Sekiya’s aim is to find the best balance to optimize as a whole. For instance, the Akerun is designed to allow the existing key system to still function, so it has to include a sensor for each mechanism (the motor and the key) to detect if the door is open or closed. Sekiya’s challenge is to place more parts in a smaller package. 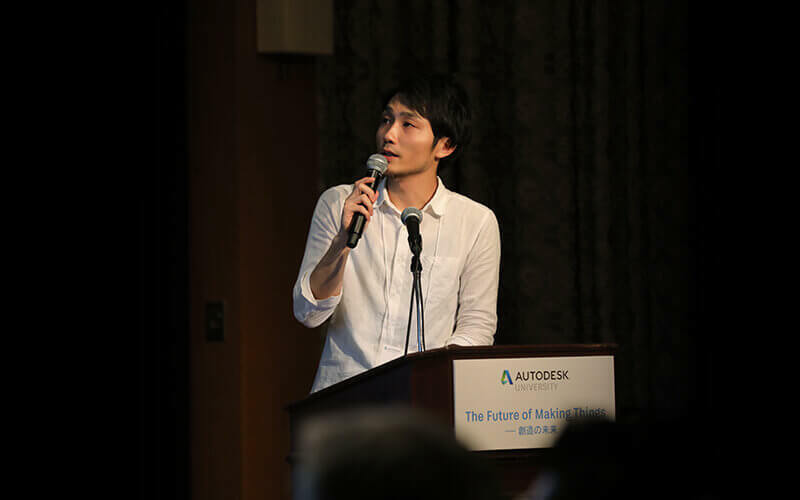 Tatsuhiko Sekiya onstage at Autodesk University Japan 2017. Courtesy Photosynth Inc.
A smartphone app can be used to engage Akerun-equipped doors, which also have an auto-lock function. 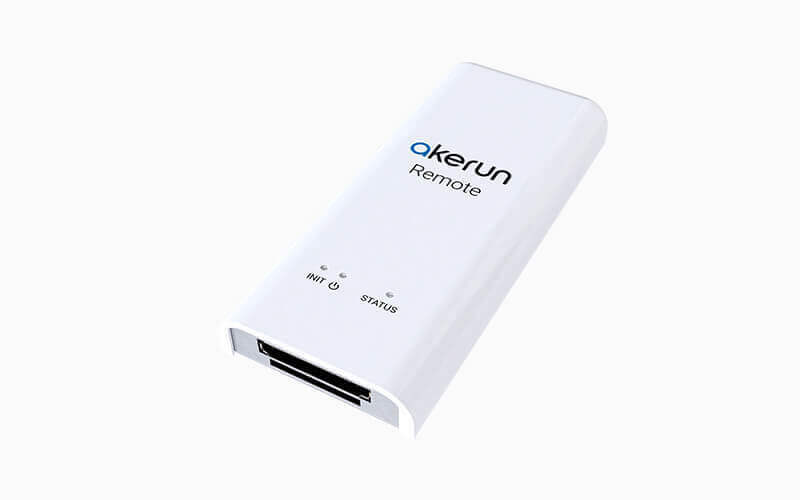 The Akerun Pro connects to the Internet through Akerun Remote, a unit installed near the door, which allows sharing of keys via LINE, Facebook, or text/email—any user with a mobile phone can be provided with a virtual key easily and quickly. With the card-reader accessory, NFC-compatible cards such as commuting passes and employee IDs can also be used for access. Unlock the future of product development with powerful cloud-based tools. Troubleshooting for products installed by users can also be performed remotely. Users needing help can send their Akerun Pro usage status to Photosynth through the product’s app. This shares information, such as the device’s operation status and settings, with Photosynth’s customer-support staff so that they can identify the cause of the problem and rapidly respond. Akerun Pro units can be linked with the Akerun Manager System web service to grant users various access privileges, as well as set up and control locks remotely. Access logs are also kept, allowing management and review of room entry and exit. “Keys” can be issued that are only usable during specified times and dates or on certain days of the week, which makes it easy to provide access for a limited time or for part-time workers that require entry only on certain days. Because a lock can be monitored and operated remotely, it is easy to check if a door was left unlocked, even while away from the office. And if an employee forgets his or her key, another employee can open the lock from anywhere. All operations are logged, and being able to check information such as who is coming and going and whether doors are locked lends an extra sense of security. An Akerun Pro and card reader installed on a door. Courtesy Photosynth Inc. The Akerun Pro starter kit includes one main unit, two card readers, and a door sensor for enabling auto-lock functionality. Courtesy Photosynth Inc. The Akerun Remote is a network-enabled, WiFi-compatible IoT gateway. Courtesy Photosynth Inc. The Akerun Pro, card reader, attachments, and product packaging were designed in Autodesk Fusion 360: With features beyond modeling and simulation tools, the software was also used to design custom parts to be 3D-printed for different door shapes. It was the first time Sekiya worked with Fusion 360—and even the product images and promotional materials for advertising and on the company’s website were rendered in the software. Beyond small businesses in Japan, other adopters include research facilities, government and university buildings, laboratories, hospitals, apartments with common living spaces, and room-sharing services. The company has also published the Akerun API so that further applications can be developed, such as integration with personnel-management systems and in-house communication tools. 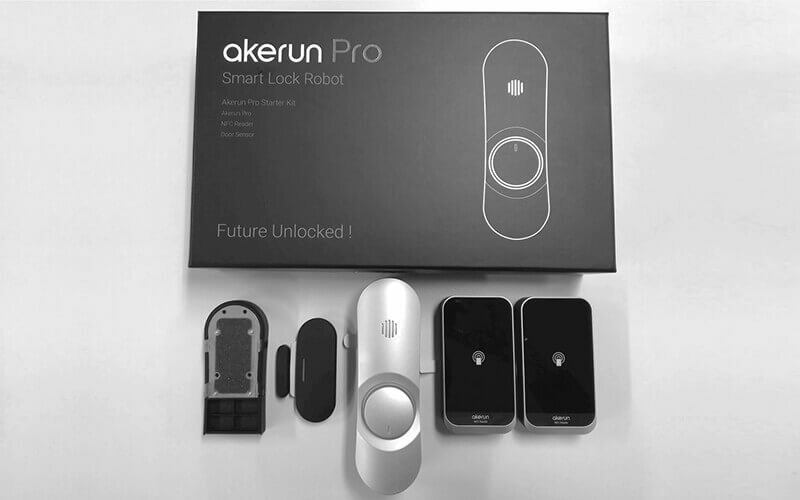 In this way, the Akerun and Akerun Pro are opening doors to new possibilities for its users, IoT technologies, and a keyless future.